Saying this is a vital issue on which teenagers should get to speak their mind, former U.S. Senate candidate Roy Moore offered to hear the other side on gun control today. 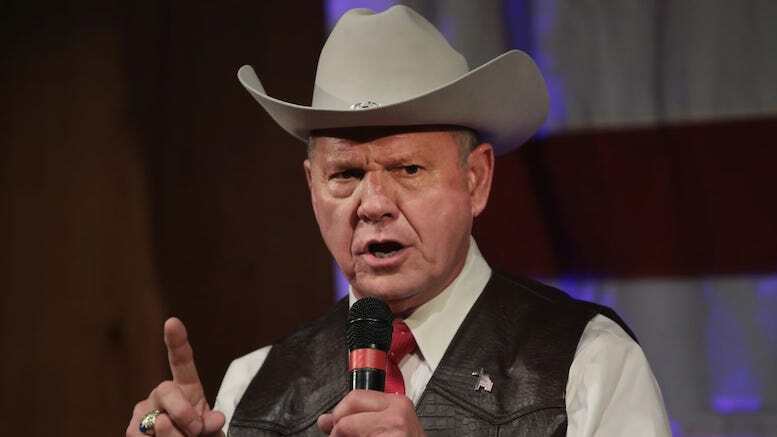 Moore rejected the cynical approach of some other Republicans who say those still in school are not mature enough to understand the issues surrounding gun violence and the 2nd amendment. He says he is ready to meet with middle school and young-looking high school girls anywhere that’s convenient, even the mall, to listen to their concerns about ease of access to firearms, and to offer comfort in these frightening times. “Despite my well-known pro-gun stance, I feel very strongly that these passionate young ladies be invited into our hearts. 1 Comment on "Roy Moore Willing To Listen To Teenage Girls On Gun Control Issue"
Oh I will bet you are, you dirty old man.